Welcome to the oldest natural spa on Earth and one of the most fascinating places in the world.Plan your trip with us: find where to go, what to do and where to stay. Discover breathtaking natural landscapes and immerse into ancient history.Visiting the Dead sea is an unforgettable experience! Whether you are planning a relaxing spa vacation, want to learn more about the history of this incredible area or interested in it’s unique nature – we can help you to find amazing places to visit and the best things to do: unique natural spas, beautiful nature reserves, exciting walking and hiking routes, ancient ruins, magnificent fortresses and more! Visiting the Dead Sea will guarantee one of the most relaxing vacations and, at the same time, an absolutely unforgettable experience. Escape from your everyday routine and dive into a peaceful and serene atmosphere of this ancient spa resort. 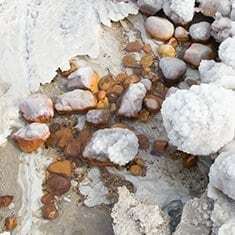 Enjoy countless health benefits of naturally preserved minerals, healing properties of the salt, breathtaking landscapes of the lowest place on Earth, excellent spa resorts, fascinating places to visit and much more! You’ll will definitely fall in love with this place…we did! 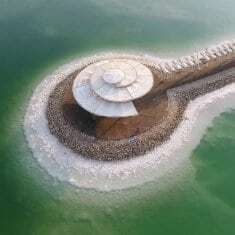 The Dead Sea is one of the most fascinating places on Earth and a unique natural resort. The Dead Sea waters contain a high concentration of salts and minerals that are beneficial for your skin and health in general, whereas Dead Sea black mud is well-known for its healing properties for physical ailments. But that’s not all! For those who are interested in history – The Dead Sea is a real treasure chest! Visit the most interesting archaeological & historical sites in the area. Discover ancient mysteries and plan an exciting trip – All you want to know is here!